Cass County saw a peak its approval of drilling permits in 1993 when it approved more than 35 permits. It only peaked again in 2003 when it approved some 15 permits. At present, only two permits that were filed: one in January 24 and one in February 5, Only the earlier submitted permit was approved. The permit waiting approval was filed by the Valence Operating Company and the approved one was file by Machin & Associates, Inc. The county achieved its record oil production in 1993 when it produced more than 694,775 barrels of oil. Production then went on a decline since then only to level off at around 2004. In 2014, however, it lists is record low of only 138,955 barrels of oil. Oil Patch Operators Co., L.L.C. 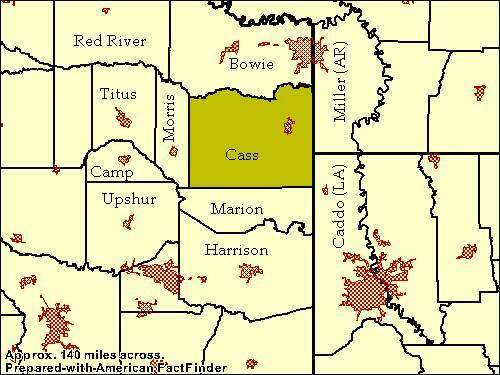 Since the time it has started producing oil, Cass County has had 315 operators enter into its territory. 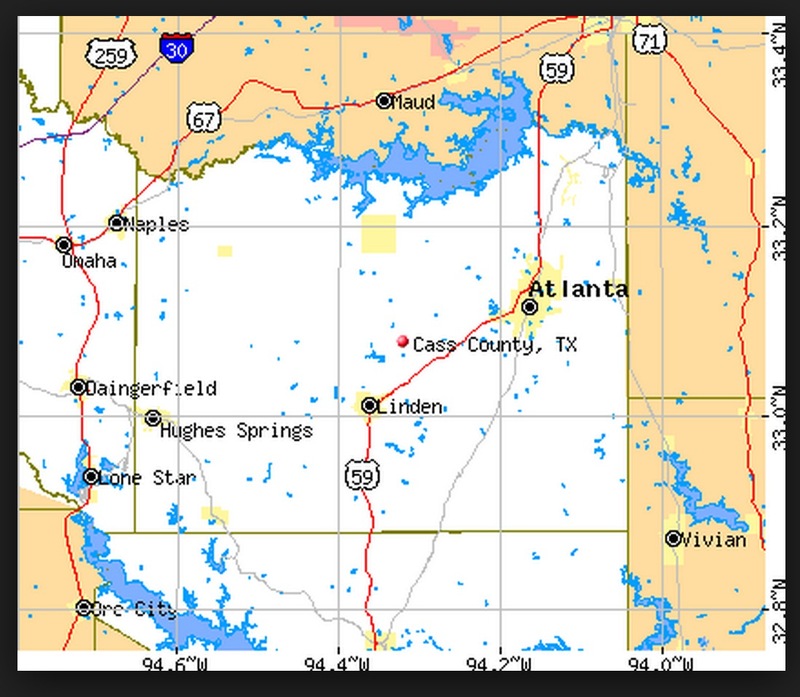 Currently, the top leases in the county include Allsup, V.B. Oil Lease #014825; Arklla-Blackstone Oil Lease #015277; Blair Gas Unit Gas Lease #193613; Bost-Wick Unit Gas Lease #016629; and Bryans Mil Unit PF Record Gas Lease #140269. 06-15137 11-J CORPORATION MIMI CALSTON EXPLORATION USA INC.
06-11720 ALLDAY DIAMOND A INC.
06-05973 ALLDAY SUPPLY COMPANY STETSON PETROLEUM CORP.
06-02078 ALLDAY, R. S. LOUISIANA ENERGY CONSULTANT INC.
06-10036 ALLDAY, R. S. GRAWARD OPERATING, INC.
06-195002 ALLSUP SULPHUR RIVER EXPLORATION, INC.
06-12133 ALLSUP, V. B. SULPHUR RIVER EXPLORATION, INC.
06-14825 ALLSUP, V. B. SULPHUR RIVER EXPLORATION, INC.
06-054767 ALLSUP, V. B., UNIT SHELL WESTERN E&P INC.
06-016623 ANGIE BELOTE SKLAR PRODUCING CO., INC.
06-13361 ARKLA STROUD PETROLEUM, INC.
06-15185 ARKLA STROUD PETROLEUM, INC.
06-15277 ARKLA-BLACKSTONE STROUD PETROLEUM, INC.
06-082333 ASHFORD-MACDONNELL GAS UNIT SULPHUR RIVER EXPLORATION, INC.
06-12715 BALDWIN HEIRS NO. 3 WHATLEY, O.B. OIL COMPANY, INC.
06-12713 BALDWIN, ADDIE NO. 13 WHATLEY, O.B. OIL COMPANY, INC.
06-01542 BALDWIN, ADDIE SCOTT KILLINGSWORTH OIL CO.
06-107922 BEAVER GAS UNIT COMANCHE WELL SERVICE CORP.
06-118211 BEDGOOD ESTATE STROUD PETROLEUM, INC.
06-10302 BELL, WILLIAM, JR STETSON PETROLEUM CORP.
06-12628 BEMIS ESTATE “D” NO. 3 WHATLEY, O.B. OIL COMPANY, INC.
06-12625 BEMIS ESTATE “D” NO. 6 WHATLEY, O.B. OIL COMPANY, INC.
06-12623 BEMIS ESTATE “D” NO. 8 WHATLEY, O.B. OIL COMPANY, INC.
06-13082 BEMIS ESTATE NO. 12 WHATLEY, O.B. OIL COMPANY, INC.
06-12562 BEMIS ESTATE NO. 3 WHATLEY, O.B. OIL COMPANY, INC.
06-13148 BEMIS ET AL SWANSON, BETTY G.
06-101036 BEMIS HEIRS LONG OPERATING, L.L.C. 06-03044 BEMIS, J. R. WHATLEY, O.B. OIL COMPANY, INC.
06-12593 BEMIS, J. R. NO. 10 WHATLEY, O.B. OIL COMPANY, INC.
06-12592 BEMIS, J. R. NO. 20 WHATLEY, O.B. OIL COMPANY, INC.
06-12563 BEMIS, J. R. NO. 28 WHATLEY, O.B. OIL COMPANY, INC.
Clay County started strong in its first three years when it approved more than 90 permits in 1992. The county again saw a peak in the approval of permits when it approved 87 permits in 2008 alone. Now, only 10 permits have been filed and approved. LMH Energy and Hoco, Inc. filed the most number of permits in the county. In fact, majority of the permits filed in 2014 was filed by LMH Energy. In terms of oil production by the barrel, Clay County saw its peak in 1993 when it produced more than 1,170,125 barrels of oil. However, it experienced a steady decline, until this year when it has only been able to produce a little more than 234,025 barrels of oil. Since 1993, around 1,029 operators have tried their luck in the county. The top leases include Bridwell River Ranch Oil Lease #001458; Catlin-Franklin Oil Lease #032387; Coyle, Laura Belle Gas Lease #115862; Deweber, Luther Gas Lease #165996; and Dym-Fulgham Oil Lease #032708. 000920 ABB DRILLING COMPANY, INC.
010071 ALAMO OPERATING CO., INC.
018027 AMERICAN ENERGY GROUP INC.
018925 AMERICAN PETROFINA PIPE LINE CO.
025355 ANDY’S OIL COMPANY, INC.
027463 APEX OPERATING & EQUIP. CO.
028637 AQUILA STORAGE & TRANS., L.P. According to the Railroad Commission of Texas (RRC), in 2013, a total of 21,471 drilling permits were issued in the state of Texas. In the same year, 19,249 oil wells were completed. Drilling permit issuance started in Texas in 1960. On that year, 15,601 permits were issued. 9,666 oil wells were also completed on the same year. The state experienced a record high in its drilling permit issuance in the early 1980s. In 1980, 39,442 permits were issued. In 1981, 47,940 were issued. In 1982, 41,224 were issued. In 1983, 45,550. In 1984, 37,507. In 1985, the decline in permit issuance started when only 30,878 permits were given out. The following year, 1986, was even worse as only half of the previous year’s permits were given out: 15,894. The next years saw the permit issuance decline until in 1999, the state experienced its lowest record. On that year, only 8,430 permits were issued. Other low performances include 1998 with 9,385 permits and 2002 with 9,716 permits. In recent years, 2012 alone showed a dismal performance when only 12,212 permits were issued. How do I file drilling permit applications online through the RRC Online System? Before you can file online, you need a User ID and password assigned to you by your company’s designated Security Administrator. Below are the steps that need to be followed. Designate a Security Administrator(s) by filing of a Security Administrator Designation (SAD) Form with the Railroad Commission if one has not already been designated. The Commission assigns a User ID to the Security Administrator. The Security Administrator must assign User IDs and filing rights for any person filing electronically. DO NOT FILE A SAD FORM FOR EACH PERSON FILING ELECTRONICALLY. If you are set up to file your PR reports online only, you still must be set up to file Drilling Permits online. What is needed to file drilling permit applications electronically? Image scanner for capturing attachments electronically (IN .TIF FORMAT ONLY). A scanning resolution with a minimum of 200 dots per inch is required for recording documents that contain no type font smaller than six points. For documents with a type font smaller than 6 points, scanning resolution must be adequate to ensure that no information is lost. For plats, Operators are required to enter pre-scanned plat paper size and to show a scale bar on the plat. When the scanned plat is printed out from the electronic record on the same size paper as the original, the scale is the same. The bar ensures that the scale is identical. Visa, Master Card, American Express, Discover, or e-check for payment of permit fees. Payment of fees may only be made through the State of Texas payment portal by credit card or e-check. Access to the payment portal is provided with the application. A 3% processing fee is added to each charge. ALL FEES ARE NON-REFUNDABLE. Camp County saw the peak in permit approvals in 1998 when 17 permits were approved. In 2013, all four permits that were submitted by operators were approved. Three out of the four permits were filed by Basa Resources, Inc. and one was filed by Fairway Resources Operating, LLC. At present, no permits have been filed. From 1998 to 2002, the operator that filed the most permits was the Merit Energy Company. It filed at least 35 permits during this 4-year period. Basa Resources, Inc, and Fairway Resources Operating, LLC. 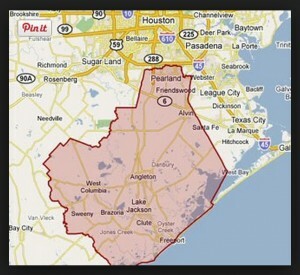 are the other major players in this county. In recent years, the Newsome Unit well has experienced the most activity. It was in 1999 that it produced its record oil production when it churned out more than 537,650 barrels of oil in that year alone. This year is proving to be its lowest point with a production of less than 107,530 barrels of oil. It has had some 80 operators enter into its territory since 1993. The top leases in the county include Boyce, L.E. Oil Lease #003064, Florence, J.B. Est. Oil Lease #002863, Garret, C. C. Oil Lease #011208, Messer, L. Oil Lease #001141, and Miller, T. H. Oil Lease #005819. 061700 BEE LINE WELL SERVICE, INC.
412145 HUGHEY, GAYLORD T. SR. OPER. CO.
413700 HUMPHREY, T. D., JR.
611686 NOBLE & CANTRELL EXPL. CO., INC.
611683 NOBLE & CANTRELL EXPLORATION CO. According to the Railroad Commission of Texas (RRC), in 2013, 32 companies were recorded to be the top producers of oil in the State of Texas. The top performer was EOG Resources, Inc. whose production accounted for 9.017% of the state’s total production. In a year, they were able to produce 63,402,417 barrels of oil. Their average daily output was around 173,705 barrels. Comprising the top 10 producers are Occidental Permian Ltd in second place with an annual production of 5.886% of the state’s total oil production or 41,383,449 barrels. Also included are Chesapeake Operating, Inc. (5.594%) with 39,331,634; Apache Corporation (3.908%) with 27,480.809; Pioneer Natural Res. USA, Inc. (3.858%) with 27,128,503; Burlington Resources O&G Co LP (3.396%) with 23,879,748; Marathon Oil EF LLC (3.201) with 22,506,864; Kinder Morgan Production Co LLC (2.870%) with 20,176,240; XTO Energy Inc (2.598%) with 18,269,605; and Murphy Expl. & Prod. Co – USA (2.276%) with 16,001,541. Capping off the list is Comstock Oil & Gas, LP whose production accounts for .628% of the state’s total production or 4,414,819 barrels of oil a year. On the average, they produced 12,095 barrels of oil a day. The top 32 producers make up 66.884% of the total oil production in the state of Texas. The average barrels of oil produced was 470,270,648 with a daily average of 1,288,413 barrels of oil. 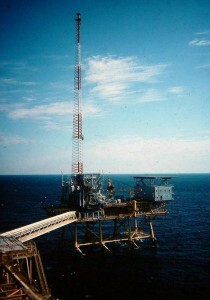 The Brazos Large Block Offshore is an offshore drilling site in Texas. It has had a high of morethan 15 permits filed in 1991 and a low of 0 in recent years. Its last permit application and approval was in August 17, 2011 when Anatexas Offshore, Inc. received an approval for its permit. Among those who filed the most number of permits were Anatexas Offshore, Inc., Capco Operating Corporation, EL Paso Production Oil & Gas Co., Black Elk Energy Offshore Op LLC, and Chroma Operating, Inc. The offshore drilling site has had a total of 98 operators in its set up. 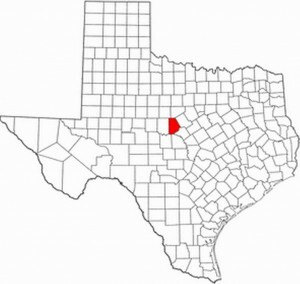 The top lease in the drilling site is the State Tract405-LN/2 Se/4 Gas Lease #224098. So far, it has not been able to produce a single barrel of oil in the last decade. 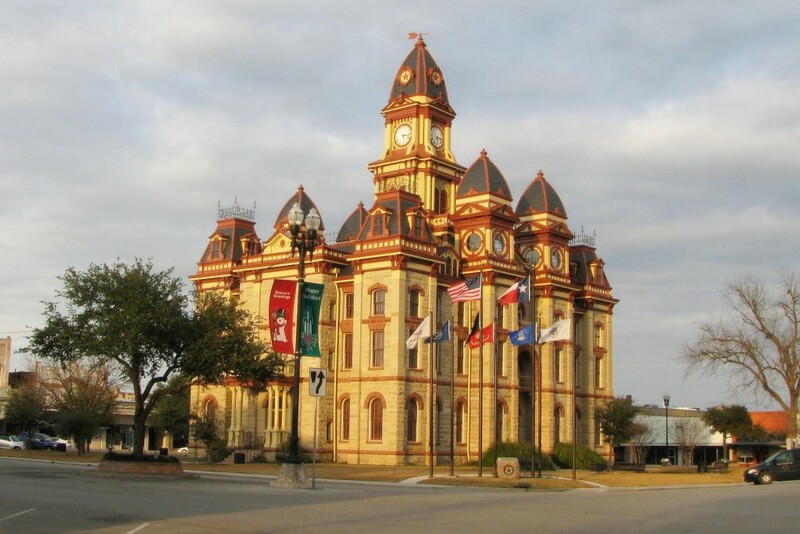 Bee County saw its highest number of permits approved in the years 2000 and 2009. In both years over 125 permits were approved. However, now in 2014, the county is seeing a slump in the number of permits approved as the number has yet to reach 25. Currently, seven permits are awaiting approval. The Enco Exploration Company filed three of these permits. One was filed in March 26, 2014 and two were filed in April 3, 2014. SV Energy Company, LLL filed a permit in April 1, 2014. Cimarron Engineering Corp. also filed for a permit in March 31, 2014. The Sydson Energy, Inc. filed two permits in March 27, 2013. The Welder Exploration & Prod., Inc. and the Enco Exploration Company have filed the most number of permits since 2013 with 9 permits. 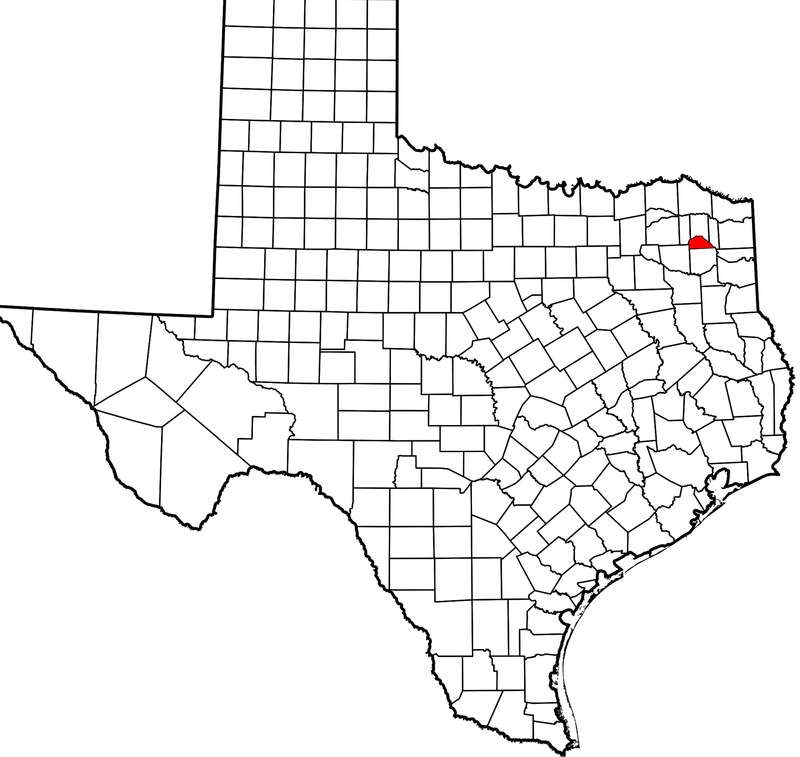 Bee County is also home to some 1016 operators. Its top leases include Alvarado 01 Gas Lease #268861, Arc-Thomson-Barrow Oil Lease #010695, Boswell 02 Gas Lease #269573, Brown H Oil Lease #010328, and Curlee, D.M. –A- Oil Lease #004647. 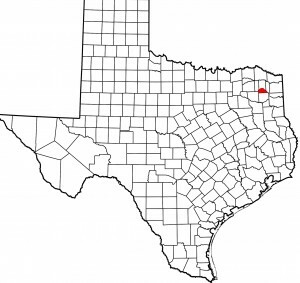 Over the years, Bee County has been producing a consistent amount of oil barrels. The lowest production is the current year as it has barely produced 184,390 barrels. It saw its peak in 1999 when it produced more than 460,975 oil barrels for that year alone. Caldwell County reached its peak in permit approvals in 1992 when over 100 permits were approved in the area. In the early 2000s however, little to almost no permits were approved. It only began to recover in the late 2000s when it reached a peak of some 80 approvals in 2012. Sadly, it has resumed its downward slide after that. This year, only 8 permits have been submitted and thankfully, all were approved. 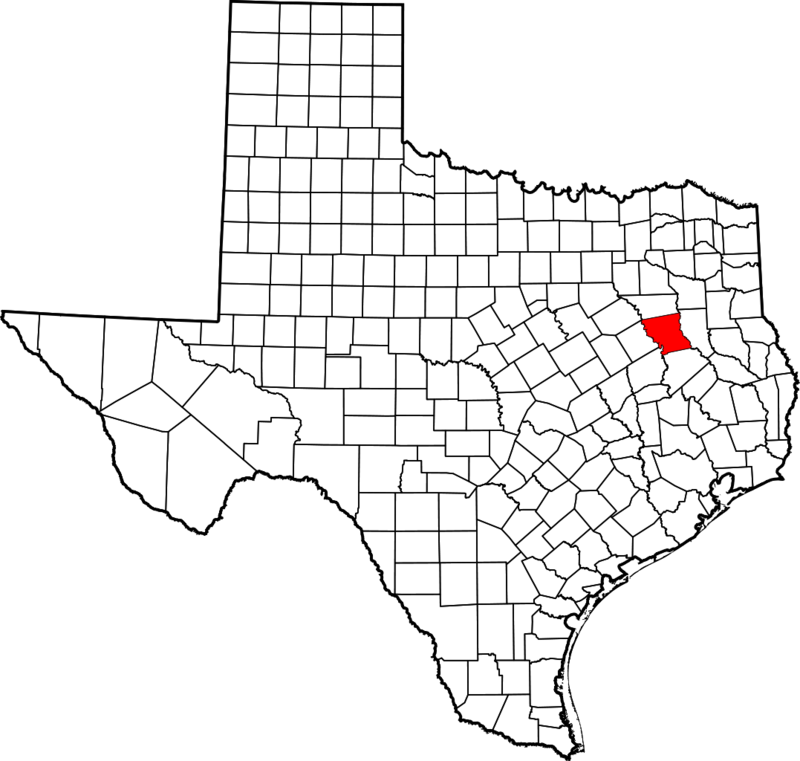 Most of the permits in the county were filed by North South Oil, LLC and Eagle Energy Acquisitions LP. Oil production by barrel in Caldwell County reached its peak also in the year 2012 when the county produced over 1,480,625 barrels of oil. In contrast, this year is proving to be dismal as only 296,125 barrels have been produced three quarters of the way into the year already. Caldwell County has recorded 773 operators that have come into its territory since 1993. Among the top leases in the county include Cora Malone Oil Lease #015469, Davis B – Wilson Oil Lease #015350, Dorset-Tiller Gas Lease #082179, Floyd Tiller Oil Lease #015430, and Hinds, Addie Oil Lease #016192. In its early years in the 1990s, Callahan County approved more than 100 permits. That number dwindled in the following years until it has reached a record low this year. Out of the 20 permits filed in 2014, only 16 have been approved. Among those that are still waiting approval are permits filed by Enterprise Products Operating LLC, RG1 Energy, LLC, Ryholland Fielder, Inc, J& W Oil Co. – W.F. and Merkaz Drilling, LLC. The most popular well is the SM Davis. Callahan County has also experienced a steadily decline oil barrel production since 1993. It hit its record high in 1993 with a production of 623,375 barrels and is now at its lowest point with less than 124,675 barrels produced. It has also had 1,405 operators come into its territory since the early 1990s. At present, the top leases are Ackers “80” Oil Lease #029919, Barnard Oil Lease #021928, Booth Oil Lease #030942, Dyer “2988” Gas Lease #097136, and Earp Gas Lease #105616. 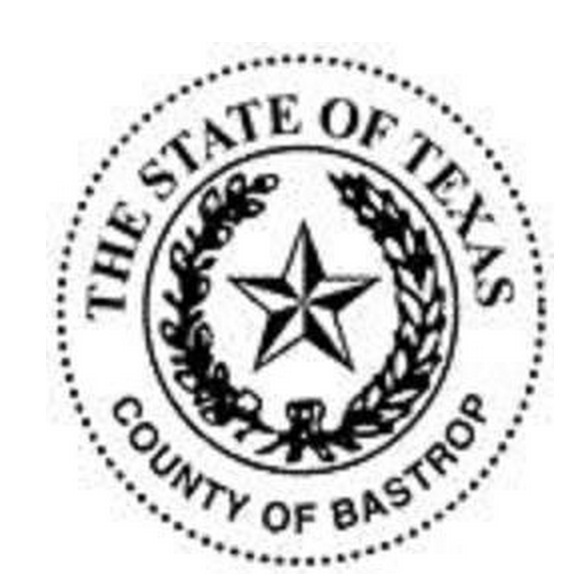 Bastrop County saw its largest number of permit approvals in 1990 with more than 60 permits approved. However, since then it has only ever reached 30 permit approvals in years 2007 and 2008. In fact, only one permit has been filed this year. It was filed by Republic Resources, LLC. In March 13, 2014. The permit was approved in April 21. 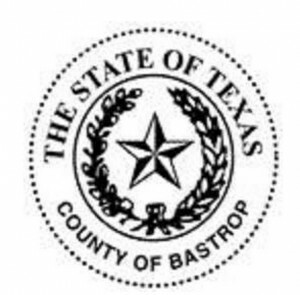 Geosouthern Energy Corporation has filed the most number of permits in the county since 2008. It has filed 12 permits in total. Following Geosouthern are companies Chalker Operating Inc., Cinolo Energy Operating, Inc., and Hughes, Dan A. Company, L.P. In 2008, the county produced the most number of oil barrels in its history. It produced more than 464, 525 barrels in that year alone. However, this year, it has barely produced 92,905 barrels. So far, this is the lowest recorded number of barrels produced since 1993. At that time, the county produced a little under 371,620 barrels of oil. 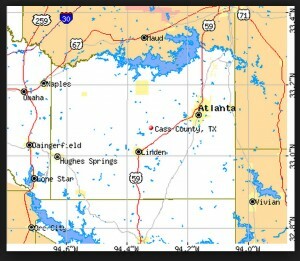 The top leases in the county include the Allan Marburger Oil Lease #025137, the Billie Ann Oil Lease #011931, the Carter, Gertrude (Trudy) Gas Leases #136471 and #136010, and the Erna Herms Oil Lease #025036. 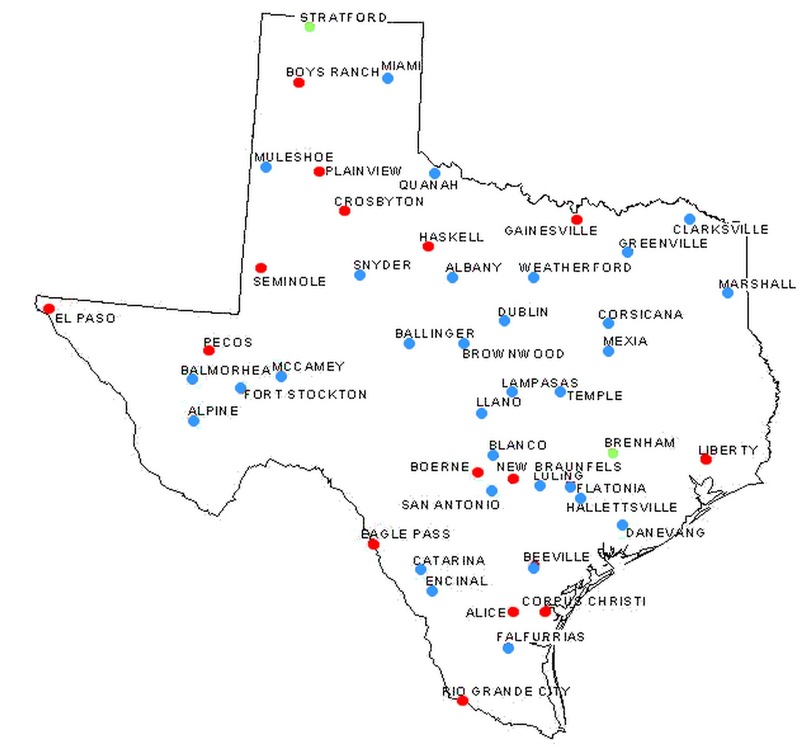 Austin County also has 477 operators listed. Brown County saw its highest number of permit approvals in 1990. At that time, the county approved more than 100 permits. In recent years, however, out of the 9 permits submitted in 2014 only 7 have been approved. The two submitted by Huntwood Resources, LLC and Conner-Marrs Company in March 26, 2014 and February 19, 2014, respectively, have yet to be approved. The three companies that have filed the most number of permits in the last two years are Joriah Oil & Gas, Inc., 4 J’s Production, and Paragon Oil & Gas, LLC. Oil production by the barrel was at its peak in 1993 when the county was able to produce more than 233,600 barrels of oil for that year alone. It’s record low is this year with only a little more than 46,720 barrels produced. Top leases in the county include Allen, E.A. Gas Lease #124413, Chambers Oil Lease #017310, Dunn, John Gas Lease #108217, Einstein Medical School “B” Oil Lease #031251, and Fomby, O.B. Oil Lease #016890. The county has also recorded some 1,080 operators that have set foot in its territory. Borden County saw it record high of permit approvals last year when it approved more than 90 permits. This year, it has approved 24 so far with three permits pending. These permits belong to Tall City Operations LLC, Raw Oil & Gas, Inc. and Pie Operating, LLC. In recent years, the PPC Operating Company LLC has filed the most number of permits. Since late 2913, it has filed 12 permits. They are closely followed by Red Willow Production, LLC, Apache Corporation and Estancia Oil & Gas, LLC. 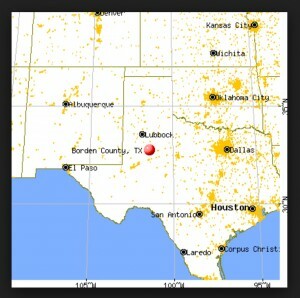 On the average, Borden County has been consistent in the number of oil barrels it produces yearly. It hit its highest point in 1998 when it produced more than 4,478,625 barrels. However, this year, oil product in the county has only reached 1,791,450 barrels. 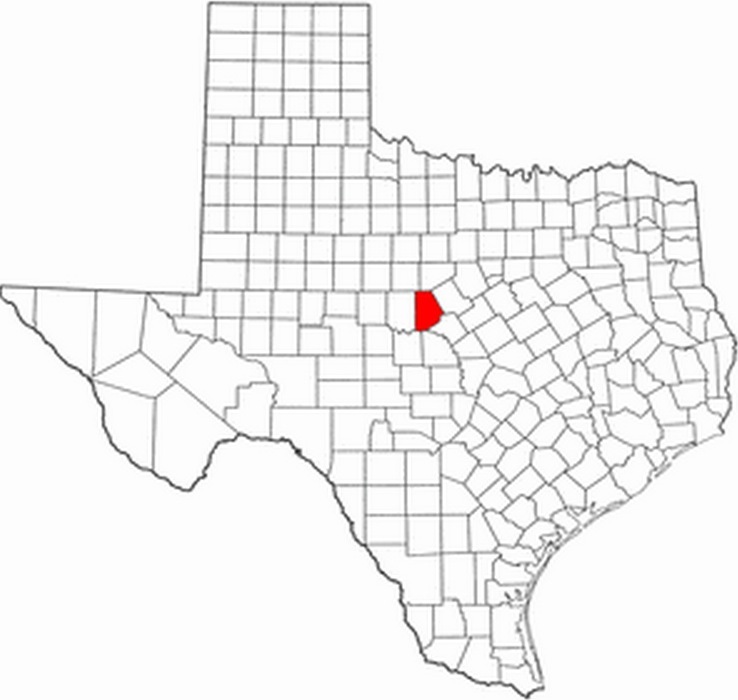 While it is definitely better than other counties, it is recorded as the lowest for this county. Bordon County has had 719 operators so far during its oil production history. At present, the top leases in the county include Canon Ranch Unit Oil Lease #018500, Cr “G” Tract 3a Oil Lease #069695, Jo-Mill Unit Oil Lease #060465, Martin, Nan “A” Oil Lease #068405, and Rebecca Oil Lease #069392. Years 1990 and 2012 were good for Brazoria County as they approved more than 100 permits. However, in 2014, out of the 50 submitted permits, only 31 have been approved. The remaining 19 were filed mostly in February and March of this year. 17 of these permits were filed by Denbury Onshore, LLC. One was filed by PIC Operating, LLC and the other by Argent Energy (US) Holdings Inc. This year, the West Hasting Unit Wells have been the most popular. 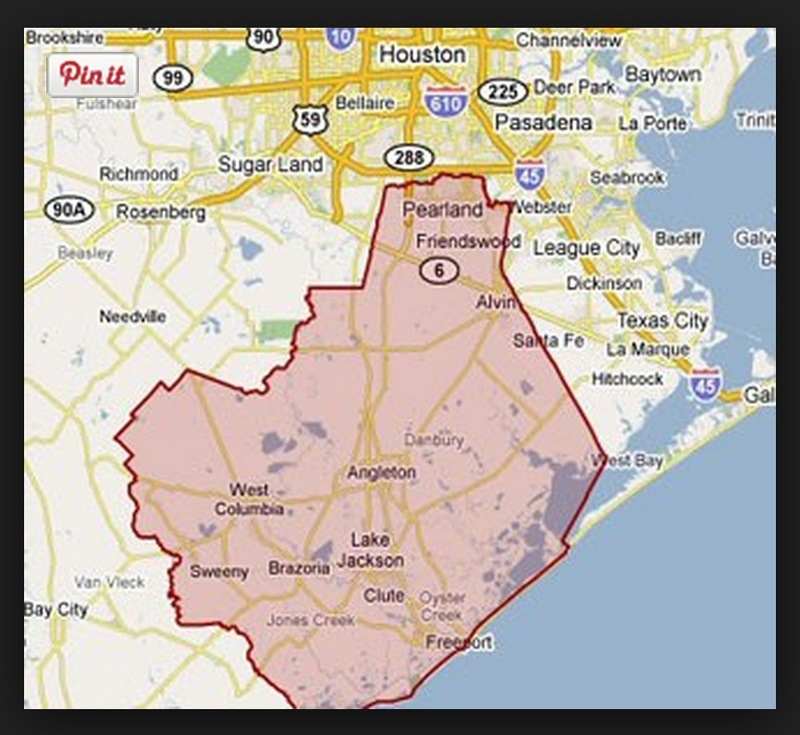 In 2013, Brazoria County produced the most number of barrels in its history. For 2013 alone, it produced more than 2,546,175 barrels of oil. Its lowest year of production was in 2011 when it recorded around 1,527,705 barrels of oil. It has around 922 recorded operators. 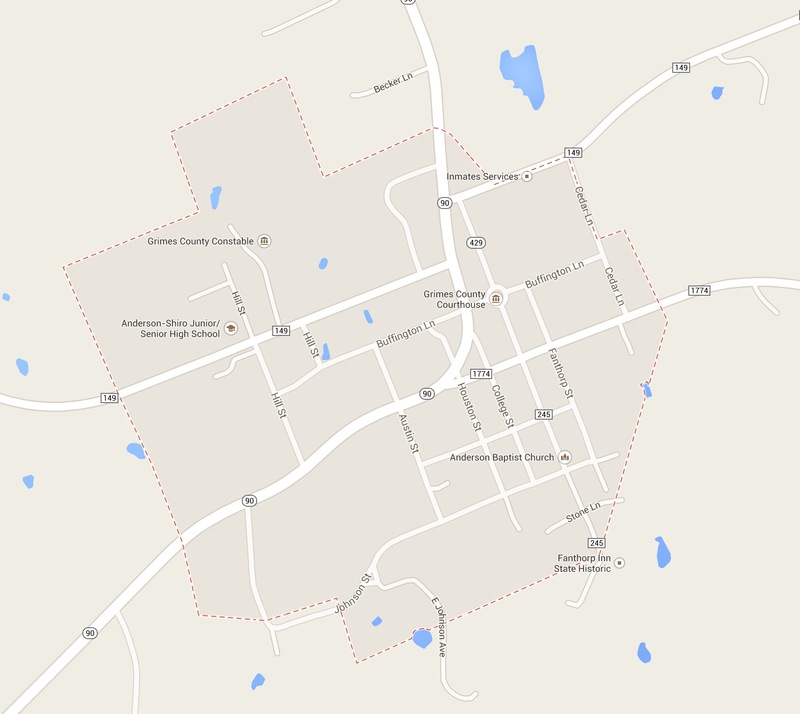 The county’s top leases include Abrams, W.H. Oil Lease #004505, Belcher, W.T. “B” Oil Lease #010386, Bennett Estate Oil Lease #022845, Black Stone Ivory Gas Lease #228848, and Davis Bintliff Gas Lease #247540. Since 2011, 50 permits have been filed in Anderson County. Of this number, 48 have been approved. Pending approval are the permits filed by Chestnut Exploration and Production, Inc. and Jamex, Inc. in February 14, 2013 and November 6, 2013, respectively. The county gave out the highest number of approved permits in its history in 1992, amounting to more than 120 permits. So far, this year shows the record low in the history of permits approved in Anderson County at 4. In recent years, the JLA Resources Company has filed the most number of permits in the county. All 9 permits it filed have gotten approved. In fact, it was the company that filed the most recent permit in Anderson on February 28, 2014. The permit received approval last March 13, 2014. Second to the JLA Resources Company in permit filing is the Mueller Exploration, Inc. Since 2012, it has filed and gotten approval for 5 permits in total. The most recent was in March 26, 2013. Other companies that have filed permits in the county include Chestnut Exploration and Production, Inc., EOG Resources, Inc., Jamex, Inc., Benchmark Oil & Gas Company, and O’Benco Inc., among others. The wells that have been most popular in recent years include Temple Inland, Tomahawk Humble B, and Herrighton 1. In 1997, Angelina County enjoyed its most prosperous year as is produced more than 215,875 barrels. 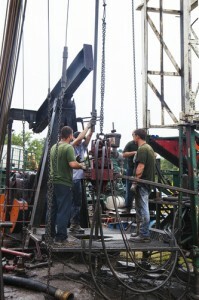 However, drilling in the county saw its peak only in early 2008 with more than 75 approved permits. However, the number of permits has been on a downward slump since 2009, noticeably after the 2008 Financial Market Crash. Now in 2014, only two permits have been filed, with only one approved. Both permits were filed by KNT Enterprises, LLC in March of 20014. Since 2009, the company with the most number of permits filed in the county is Encana Oil & Gas (USA), Inc. It filed 17 permits within a span of one year: 2009. However, after it has since been noticeably absent in the permit filing game in Angelina County. Companies that have emerged to file permits in the county since 2012 are KNT Enterprises, LLC; Goodrich Petroleum Company, and Devon Energy Production Co., LLP. In recent years, the Roan Thomson and DF Thomson wells have experienced the most activity. Has Leases #246316, #229467, and #236761. 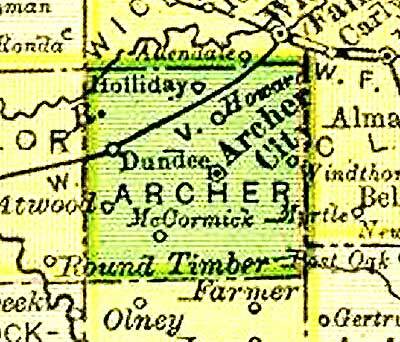 Archer County saw the boom in its approval of oil permits in 1990. During this time, more than 240 permits were approved. Now, permits have been approved increasingly with more than 50 approvals this year alone. However, the county still has a long way to go if it hopes to reach the approval highs in the last few years. In 2008, 2009, and 2011, a little under 200 permits were approved. This year’s performance, though, has already managed to eclipse the county’s worst year, 2004, where not even 40 permits were approved. At present, eight permits are awaiting approval: three permits filed by Banner Oil & Gas LLC in March 19, 2014, a permit filed by Palmer, John LLC in March 28, 2014, a permit filed by Palmer, Mike Oil on the same day, a permit filed by Elephant Oil & Gas, LLC in March 31, 2014, a permit filed by Texas Energy Operations, LC on the same day, and a permit filed by Glen D. Gonzenbach, LLC in April 1, 2014. 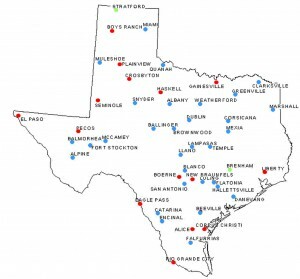 In 2014, two companies have filed the most number of permits: EOI Eagle Operating, Inc. and Texas Energy Operations, LC. These two are closely followed by Palmer, Mike Oil and Veitenheimer Oil Co., among others.